Trident Maples grow to about twenty to thirty feet, though taller in their native areas of China-Japan. Leaves are distinctly three-lobed, with smooth margins. Glossy dark green above, they are lighter beneath. Fall color is outrageous! It can vary from bright yellow, orange and red to gold, scarlet, rich rose, even to reddish purple! 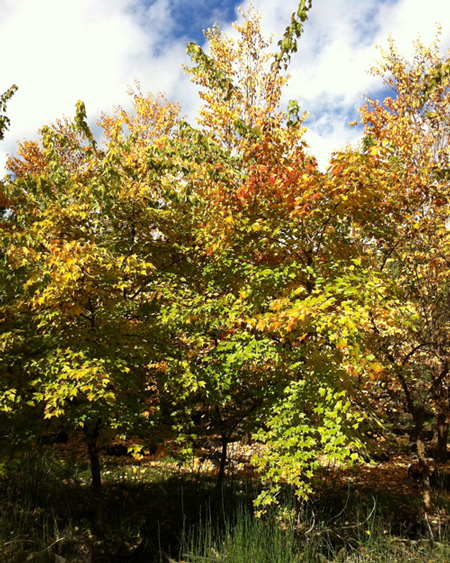 Trident maples are adaptable, but flourish in well-drained, moist and fertile soil, in full sun.